Foreign nationals owning shops around Emalahleni in Mpumalanga have accused the Municipality and the South African Police Service(SAPS) of instigating xenophobic attacks. 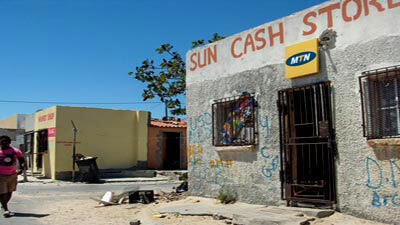 Their shops were looted following an operation by the Municipality and police in townships around Emalahleni. Some of them say they now fear for their lives. Angry and frustrated foreign nationals say they have been forced out of townships around Emalahleni. This is after the Emalahleni Municipality officials and police officers descended the area to ensure shop owners were complying with by-laws. Many shops were shut down by the owners accused of selling expired products among others. The shops were also looted by residents. The Emalahleni Municipality has dismissed allegations leveled against it. Saying some foreign shop owners are not only selling expired foodstuffs, but operating in areas not earmarked for businesses. Some of the foreign nationals have also accused police of refusing to open cases against the suspects who looted their shops and assaulted them. Some of those affected say they now don’t have shelter and are relying on handouts. The post Foreign nationals accuse Municipality and SAPS of instigating xenophobic attacks appeared first on SABC News – Breaking news, special reports, world, business, sport coverage of all South African current events. Africa's news leader..